The only changes this time around is the wheelset and the fork. I wasn't comfortable with the White Brothers fork on this bike because the 110 mm of travel really changed the geometry and I wasn't comfortable with it. 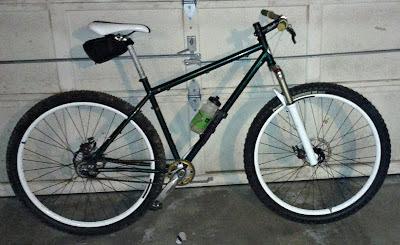 I was thinking that before I get rid of the Manitou Minute 29 fork I should try it on the Kona so with the help of a Narragansette Porter I rebuilt the bike with Velocity Blunts and the Manitou. Can't wait to give it a try! 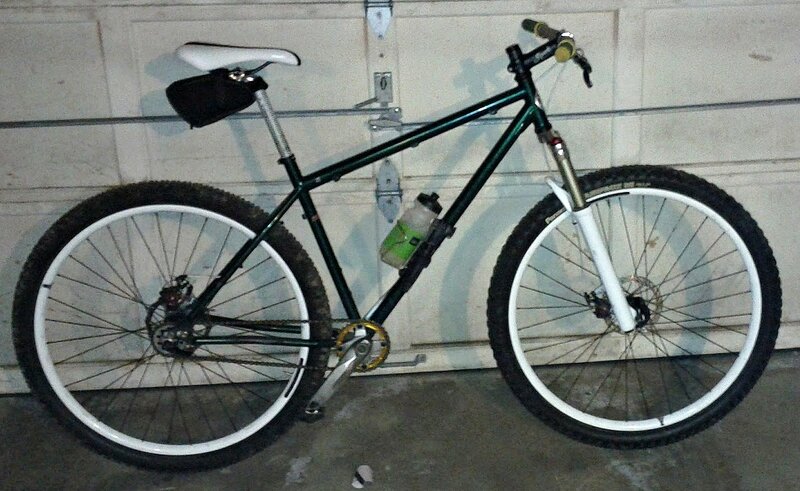 If you don't like how it rides, I'd trade you a Reba for your Manitou fork and I'd be interested in your wheels too.